We are delighted to welcome KM Elite as MBD sponsors. It is an absolute pleasure to be supported by such a quality brand and their amazing products. 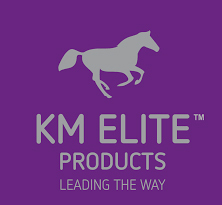 KM Elite have over 20 years direct experience of the equestrian market and have built up a reputation for distributing the best product in each category. They are continuously searching worldwide to provide their customers with innovative designs and the best horse products available. The MBD Team cannot recommend KM Elite and their products enough and the entire MBD Team are delighted to welcome them as sponsors.